Moving can be a stressful endeavor, especially when you need a place to store your stuff as part of the process. Fortunately, Brown Box Movers can help. As a leading provider of moving and storage services in Denton, we can help you achieve a stress-free move while keeping your belongings safe and secure in our premium storage facilities. At Brown Box Movers, we take every precaution so that your belongings emerge from your storage unit unharmed. From climate control to security measures, we want you to rest easy knowing that your property is locked away in our storage center. And when the time comes to retrieve your belongings, we’ll be on hand to help you move them to your new home. Brown Box Movers Storage facility is and set up for door to door service. Moving can be a stressful endeavor, especially when you need a place to store your belongings as you may be staging your home or simply waiting for your new home to be ready. 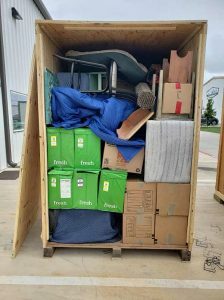 As a leading provider of moving and storage services in Denton, we can help you achieve a stress-free move while keeping your belongings safe and secure in our premium storage warehouse. Our crew will move your belongings to our storage warehouse and items are then stored in locked wooden vaults. Larger items are stored on pallets/racks in our overflow section of the warehouse. 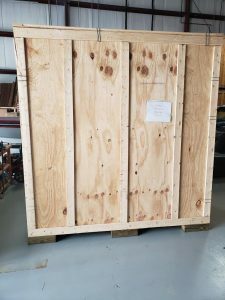 When you are ready to move from storage, our crews will load the contents from your vaults onto the truck and bring your belongings to the location you specify. At Brown Box Movers, we take every precaution so that your belongings emerge from your storage unit unharmed. From our climate controlled facility to security measures, we want you to rest easy knowing that your property is protected in our storage warehouse. We can store your belongings in our storage warehouse for as little as a few days or for a long period of time. We have space for just a few items or your entire home. Give us a call and ask about our current specials. Items, such as flammables, paints, live animals, drugs, perishables, propane tanks, and fertilizer are prohibited from our facility. Please contact us if you have questions or concerns about specific items. We can store your belongings in our storage warehouse for as little as a few days or for a long period of time. We have space for just a few items or your entire home. Give us a call and ask about our current specials. Call for pricing based on your moving needs and content. 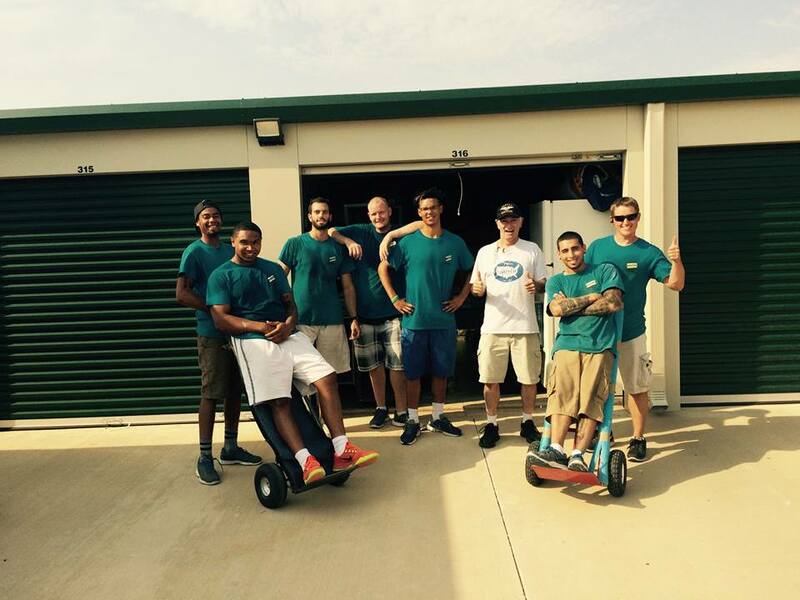 To schedule a move or to get a free quote, please call our office staff at (972)-953-6683. If you are need more accessible storage like traditional storage unit. Ask our team how we can accommodate.